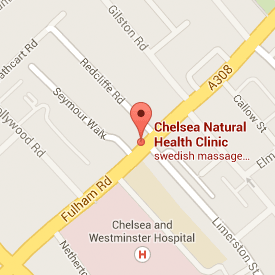 Here at Chelsea Natural Health we have 2 Registered Osteopaths, Philip Waldman and Zahir Chaudhary. Osteopaths believe passionately in nature’s ability to know best. Having taken an overall view of a person and their environment to build as complete an understanding of any issues present as possible, we aim to facilitate the body’s attempts to heal itself. This can be achieved in many ways, such as working with the tissues of the body using mechanical techniques such as stretching, muscle work and mobilisation of the joints. Whether it be a bad back or more general health complaint we aim to support the body’s in-built healing mechanisms to resolve the state of dis-ease. We complement this approach with exercises, advice on things like diet and lifestyle. The aim is to help restore the person to health and vitality. Well, due to rules put in place by the Advertising Standards Agency, there is only a short list of conditions we can claim to be able to treat. And that list is.. Please follow the links for more information on these individual complaints. “The rule of the artery is supreme” blood supply is the most important factor in health more? “Structure governs function” the shape of the (ie) joint dictates the way it works more? “The body is a unit” no one part of the body functions alone, all are connected. more? “The body contains all the mechanisms required for self-repair” given the chance the body will be able to heal itself more? Osteopaths use a variety of techniques, such as massage and joint manipulation to correct joint function. In the case of spinal joints, improving joint function releases the nerves and thus improves the function of the structures, such as organs and muscles, supplied by the nerves. Osteopathic medicine, founded well over a hundred years ago, understands that if your bones, muscles, joints, ligaments and tendons are in all good structural balance, then your nervous system, circulation and therefore your whole body will function well. Osteopathic treatment does not target the symptoms only (although this is the basis of short term pain relief) but treats the underlying, abnormal structural pattern that has resulted in the symptoms in the first place. 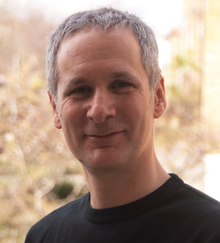 In Britain, complementary medicine is defined as a group of diverse medical approaches, using non-surgical and non-pharmaceutical techniques to treat disease. Osteopaths are under the same rigorous government regulations as doctors, and have the same diagnostic responsibilities as a doctor- and therefore sit somewhere between conventional and complementary, and are probably best termed Primary Health Care Physicians. In 1993 Osteopathy became the first complementary health care profession to obtain statutory recognition. This means it is a criminal offence to use the title without proper training and that the Osteopath is bound by a similar responsibility for their patients’ welfare as a medical doctor. Osteopathic training is a four under-graduate degree course, similar in structure to the medical degree. 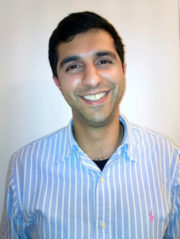 More emphasis is based on anatomy and musculo-skeletal medicine but training does include x-ray and MRI diagnosis, orthopaedics and pharmacology, alongside several thousand hours training in osteopathic techniques on both students and ‘real’ patients. The UK is the only country in the world that decided it would not take the title ‘doctor’. This was purely a decision by the governing body. Millions of people visit their GP every year with some 70% complaining of musculo-skeletal related problems. These might consist of, neck; back; wrist; joint; sciatic or arthritic pain whiplash injuries; headaches (including migraine type pain); pelvic dysfunction and sports injuries which are all conditions seen regularly by Osteopaths. Last year, more than 10 million patients were seen by Osteopaths and many thousands of hours were lost due to back pain alone. Osteopaths use a wide range of techniques, from massage to joint manipulation, cranial osteopathy, exercise rehabilitation, dietary advice, ergonomics and self-management. Their patients range from the newly-born to the elderly and include such diverse groups as pregnant women and athletes. Excerpts taken from Osteopathic Medicine by Gavin Burt. Other source: the General Osteopathic Council. For more information contact the General Osteopathic Council 020 7357 6655 or visit their website.